I am just completely chuffed to bits with this award so a huge thanks to Nimmiafzal from Adorable Life for the nomination. 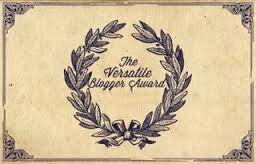 So the rules are relatively simple, you need to thank and tag the person who nominated you, give seven facts about you and then nominate 15 other deserving bloggers. I have lived in four different countries and while I have settled in the UK, I hope I get the chance to live in a few more yet. I think about food CONSTANTLY, seriously I spend almost every waking moment thinking about menus, recipes and what I’m making for dinner. I would love more than ANYTHING to work in a food related field, but would hate to be a chef. I hardly ever make the same recipe twice, I just can’t resist the urge to tweak things much to my better half’s dismay. I love writing and reading and long hot baths. I have a love/loath relationship with Tastespotting and Foodgawker. 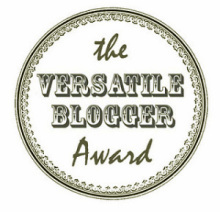 This was incrediblydifficult, not only are there so many amazing blogs out there a LARGE percentage of my favourite blogs have already received a Versatile Blogger Award- so if I’ve nominated you for an award you already have I do apologise. Many congratulations; well deserved! 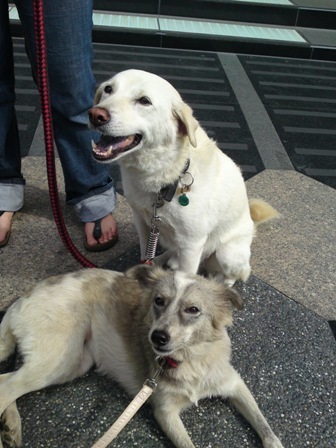 My confession is that most of my “signature recipes” are now from your blog and I love cooking “alongside” you. Very well done. Thank you so much for the nomination! I’m new to this, it’s nice to know someone out there likes me! Totally deserved! Congratulations with the award!!! thank you very much for the nomination . i really appreciate it ..